Friday night is Sparring night for me 🙂 Everything was going really well until the sole of my foot made contact with a very sharp elbow of the person I was about to kick. Let’s just say it didn’t feel good but that’s all part of the deal. You have to be ready for anything when you enter the ring. Fortunately it’s just a bruise and nothing that some ice can’t take care of. Saturday morning I was at the track bright and early to have a special javelin session with Bill. 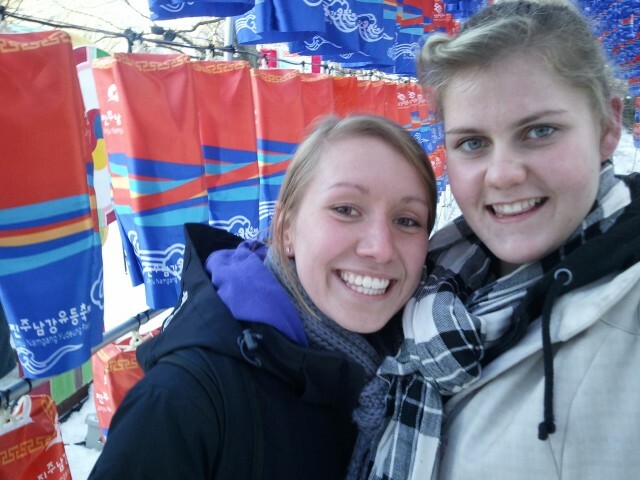 There was also a university thrower who was in town visiting for the long weekend. I had met him one other time before and it’s so cool to watch him throw. I love being around some really good throwers since it’s very motivating and it’s a good chance for me to see how it ‘actually’ should be done 🙂 Thanks Bill for including me in the training. Then I was excited when my friend Steph Boivin from Montreal came to picked me up at the track and she finally got the chance to see a bit of the training and meet Bill since she’s heard so much about him. 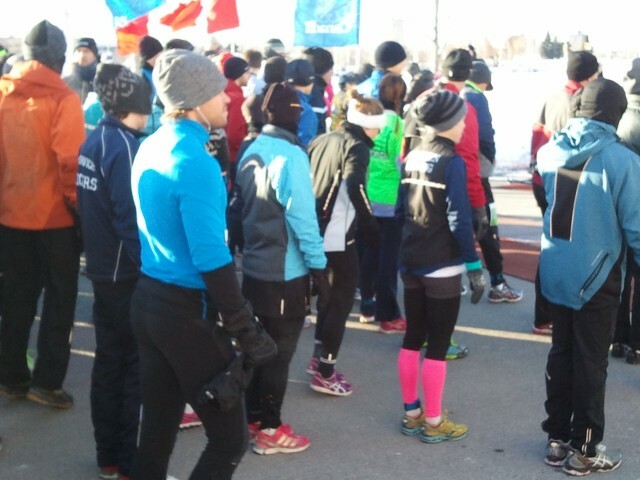 Steph came to run a 10km race Sunday morning. We always have a blast together since we have so much in common. 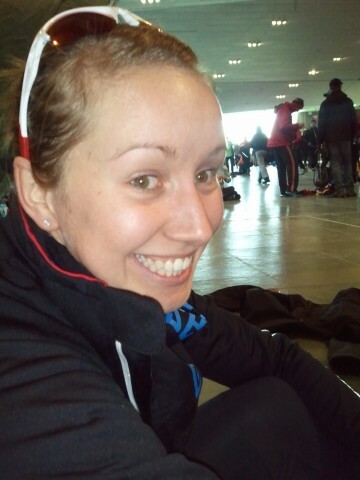 Steph is training to compete in the Ironman this August in Mt. Tremblant so this was the kick-off to her competitive season. She is such an inspiration and her positive zest for life and training motivates not only me, but everyone around her. I am so proud of her!!! We got up at 5:45 am Sunday morning so we could make her a power breakfast and head off for the 8:30 race. 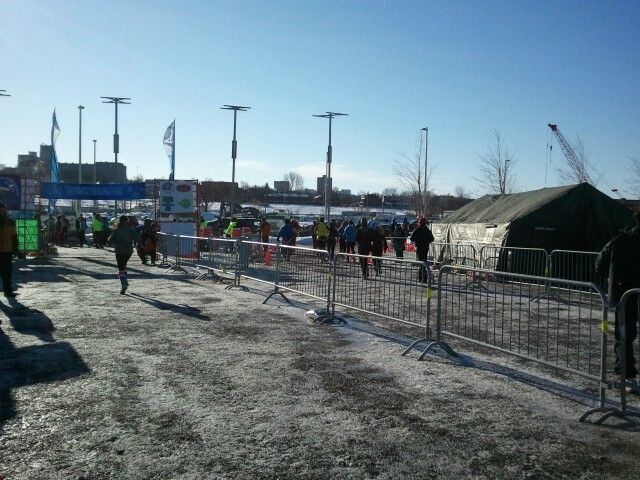 It was -25C so you can imagine how cold it was. You couldn’t take your mittens off for more than a few seconds. The wind by the parkway was crazy! 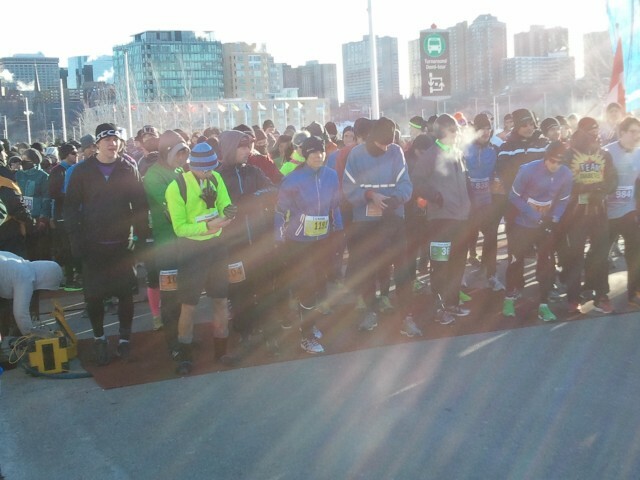 Starting line. All the runners for the 5K, 10K and 21K started off together. Steph is wearing the white headband. It was so awesome. 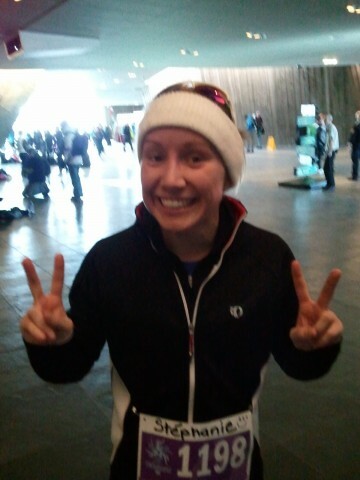 Steph placed 10th overall and FIRST out of all the WOMEN!!!! 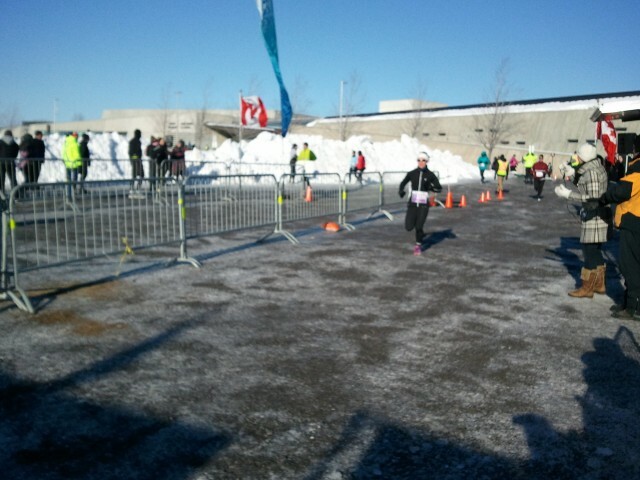 I felt so bad for all the runners since there were hardly any spectators since it was sooooo cold! 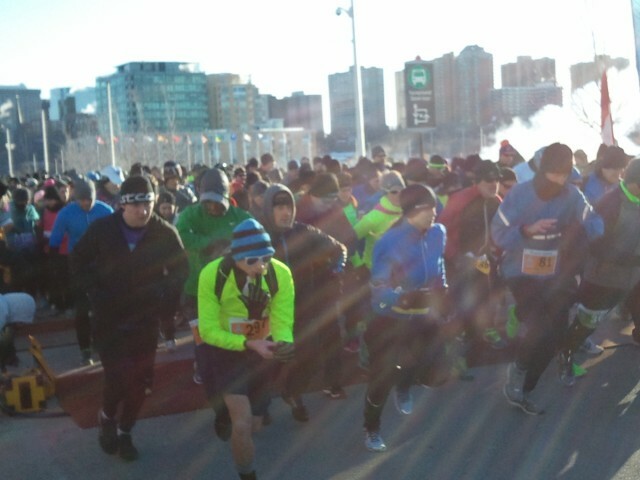 I was cheering my lungs out and clapping like crazy for everyone mostly to keep warm :). I was freaking out when I saw her coming down the finish line since I knew she was the first woman but she didn’t. 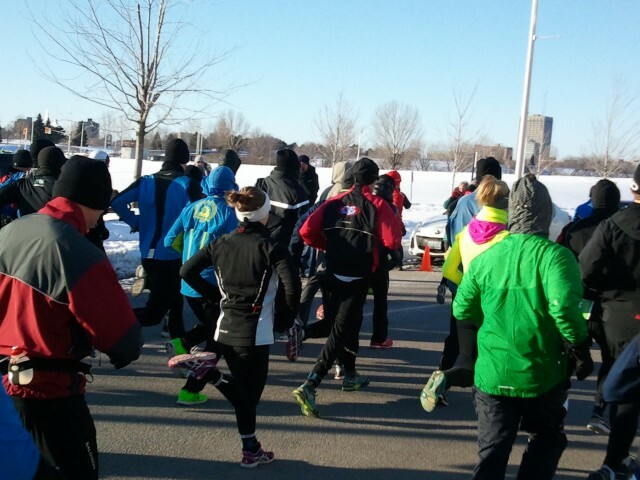 Each division wore a different coloured bib so you could tell who was running which distance. She was running so fast I couldn’t get my phone out fast enough to take good pictures. She said the freezing cold made her lungs really hurt but she pushed through it. Stephanie Boivin wins 1st place for women!!!! 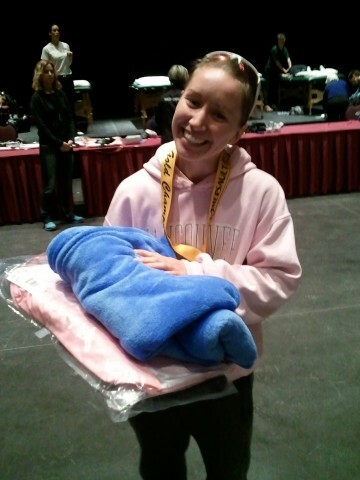 She won her medal, a cozy blanket and a couple gym bags but more importantly it was a great confidence boost for her for the rest of her season. It was great to see her so happy and proud since I know how hard she has been training. Results like this don’t just happen by ‘wishing’….they happen because of the hard work before the race!